Posted February 17, 2015 by Emily Adams . Your website is such an important aspect of your marketing – it is the digital storefront of your business, the first impression many of your customers will have about your business, and the cornerstone of your online marketing strategy. So choosing a website designer might be the most important business decision you make. A good website designer can make the difference between online failure and long-term success, between wasted money and a huge ROI, between ineffective ads and an effective marketing platform. Do you use only templates? With so many choices for DIY website design, virtually anyone can build a website. But when the success of your business is at stake, you need more than a template. Template driven web design might work for a personal blog or a teenager’s lemonade stand, but you need MORE for your legitimate business. Your web designer should have a comprehensive knowledge of website coding. With this code fluency in their toolkit, your website designer has the ability to create a truly unique design just for your business. They should be able to work with you, customize your website, and go beyond a plug-and-chug template. Just having a website isn’t good enough, you need a website that will work for you and your business. Your website is a critical component of your marketing – it is the centerpiece of all your online marketing efforts, and a good website is necessary for integrated online marketing strategies. Your website designer needs to understand this. With an understanding of marketing, your website designer can create more than a landing page – they can build a marketing tool for your business. What optimization is included in my site? A website isn’t effective unless it can be found by the search engines. Ask your website designer about integrated search engine optimization – what SEO do they include with your site? You don’t need to understand the technical jargon, you just need to know that your website designer does. Integrated search engine optimization, metadata and keyword research is a critical factor for your website – make sure your designer offers this service. Mobile web traffic now accounts for nearly 50% of all internet traffic – if your website is not mobile-friendly, you’re missing half of the potential visitors to your website. Can you afford to miss those opportunities? If your designer tries to tell you that you don’t need a responsive site – walk away. 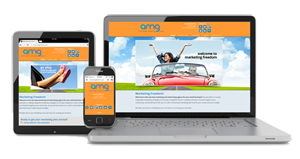 A responsive website will automatically adjust to the size of screen it’s being viewed on, whether it’s a 27 inch desktop or a 3 inch mobile phone. Responsive design should be implemented from the very start, not added as an afterthought. Make sure your website designer incorporates responsive design to your site – if not, take your business elsewhere. Do you offer premium plug-ins as needed? A good web designer knows all the elements your website needs, including plug-ins. If you need additional functions, like a contact form, appointment scheduling, or video integration, your website designer should be able to recommend the right plug-in for the job. And they shouldn’t necessarily just stick to the free ones – your website designer should know when it’s worth it to pay for the premium plug-ins, and shouldn’t skimp just to save a few dollars. Hosting is nearly as critical as the design itself. Ask for details – again, if you don’t understand the jargon, make sure they do. The designer should confirm that the server is equipped to handle the traffic to your website – you don’t want visitors to be turned away by slow loading times or internal server errors. If a problem does arrive with the hosting, your website designer should be able to help. What maintenance do you perform for my website? A good website designer’s job isn’t done when the site goes live – they should offer regular maintenance and continued support for your website. Whether it is an update to a plug-in or a bug in the code, your web designer should be there for you even after the project ends to keep your website up and running and working its best. Do you offer end-to-end management? Your website designer should be able to handle it all – a fully-featured site, domain hosting, and even email accounts. Your website designer should be able to manage it all, so you don’t have to manage multiple relationships with a bunch of different vendors. 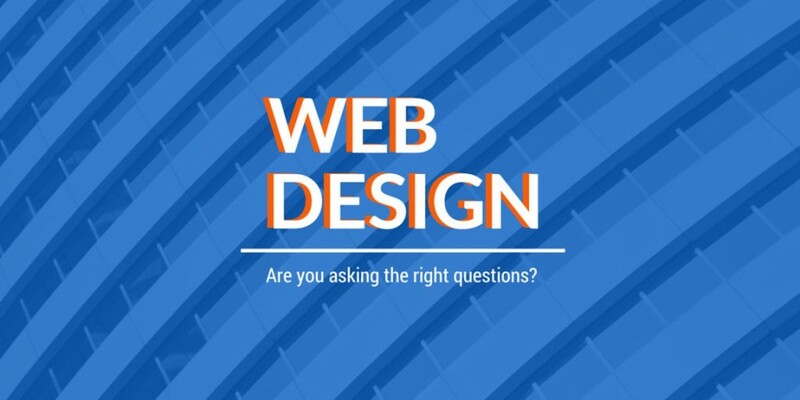 If you have a question, your website designer should have (or be able to quickly find) the answer! What are the strengths and weaknesses of my current website? This is key – your web designer should be able to design a more effective website for your business. They should take a close and critical look at your current site, and be prepared with ideas and suggestions for improving your website. Even better, look for a web designer who can offer a competitive digital marketing assessment – comparing your position with your competition, and reviewing not only your website but all aspects of your presence online. Because your website is the centerpiece of an integrated online strategy, your website design should support your other marketing efforts. Better yet, the assessment should be free. So… does your website designer have all of these qualities? Before you hire a new web designer, ask them these 9 questions. If they have the wrong answer, consider it a red flag – walk away. Give our marketing team a call at 303-703-8000 – our web designers are ready to answer these questions and more!